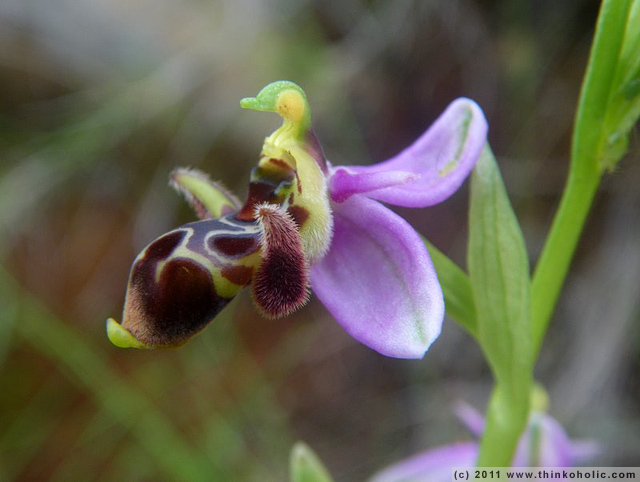 as previously explained, bee orchids trick male bees into thinking their flowers are females of their kind – e.g. by their colour patterns, the development of dense hair, and/or their scent. this makes their pollinators more likely to visit another flower of the same species, allowing for higher pollination success. 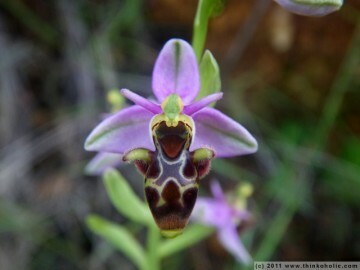 while the optical resemblance to bees is a lot more subtle in other species (which sometimes rely more strongly on ultraviolet patterns), it is very illustrative in ophrys scolopax.